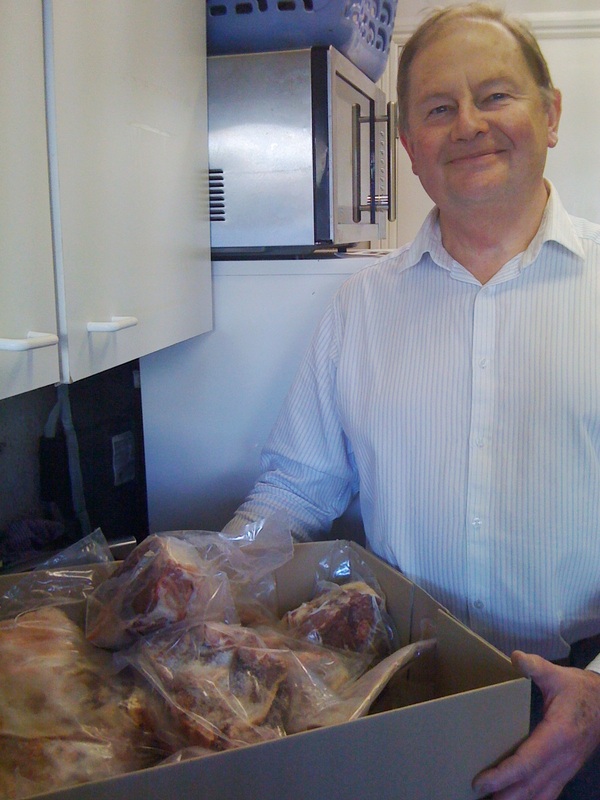 Just selecting lambs for the amazing Outstanding in the Field banquet, to be held at Trealy Farm, Monmouth, next week. 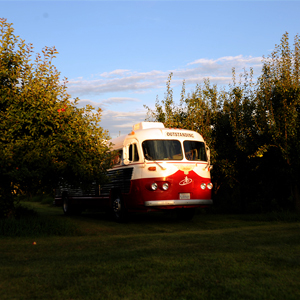 OITF is a legendary American organisation that travels around the States in an iconic tour bus, holding large scale banquets outdoors on farm, to promote communal dining, links to farmers and enjoyment of local food. For the first time, OITF has arranged a European tour in 2011 and the only UK date is at our friends Ruth Tudor and James Swift’s farm nearby. The Hardwick Restaurant is preparing the food from the finest local ingredients, including James’ excellent charcuterie. We are proud to have been selected to provide the lamb for the main course and we are really looking forward to the event. We’re enjoying a couple of weeks of respite, having finished our first batch of (unexpected) lambs. It all went really well, with no major problems and a really healthy set of lambs running around enjoying the spring weather. Another week before we start again! Only yesterday I was smugly telling a friend that we were not starting lambing until the first week of April – (Remember the saying that Bonfire Night makes April Fools?). I went up to feed the sheep tonight and heard a higher pitched bleat amongst the hungry ewes. 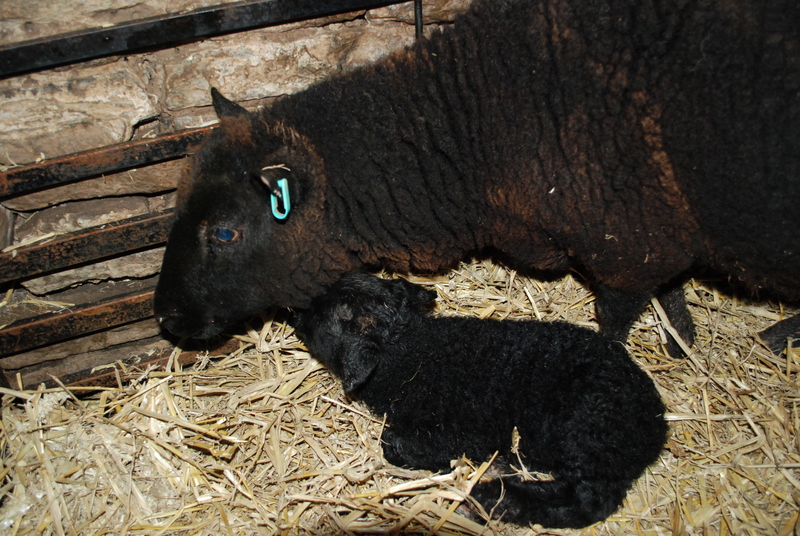 First lamb – six weeks early! Oh well, only another 99 to go! Lucky winners of a half organic lamb in our prize draw at the Abergavenny Winter Fair were Clare and Guy Ingram, from the Vale of Glamorgan. Their prize was slightly delayed when Nick got stuck in snow in Cardiff before Christmas, whilst attempting to deliver to one of our regulars. Despite heavy warnings to take the Land Rover, he chose the Audi and nearly spent Christmas on the outskirts of the city. Happily, Sarah delivered a replacement to the Ingrams this week. We hope they enjoy it! For all those of you who entered but were not so lucky, the good news is that we have added you to our mailing list, so you can order one direct! Just discovered by accident that our film with chef Mark Sargeant is on Market Kitchen: Big Adventure on UKTV’s Good Food Channel today and next Sunday. Mark visited the farm a few weeks ago, walked the ground with Sarah and tried trimming some sheep’s feet with Nick before going on to cook some delicious Pen-y-Wyrlod Lamb. For anyone like us with a massive crop of quinces this year – a recipe to go beyond membrillo and quince jelly: Qorma-e-Behi or Afghan Quince Stew. We love Afghan recipes. Almost every one, including desserts, begins with “take one lamb”…….. This is a toned down version, stolen from the excellent Noshe Djan, by Helen Saberi and published by the excellent Prospect Books. Try it, preferably with one of our delicious organic, pedigree lambs and let us know what you think! 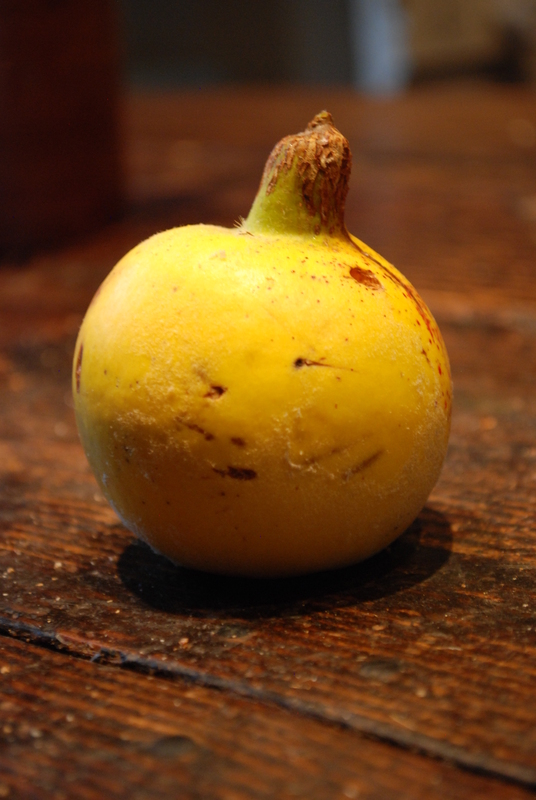 Peel the quinces and cut into 2.5cm cubes. Heat the oil in a pan and then add the finely chopped onions. Fry over a medium/high heat until soft and golden brown. Now add the meat and fry until browning, then add the quince. Stir, then add the spices. Fry for about a minutes then add about a teacupful of water and the sugar and salt to taste. Mix and stir the ingredients and cook gently until the meat is tender and quinces are soft. Serve with chalau (Plain white rice). Special offer: Two free quinces with any lamb this week! Our search for a new ram is over. Meet Allt y Brain Leroy (not our choice of name!) 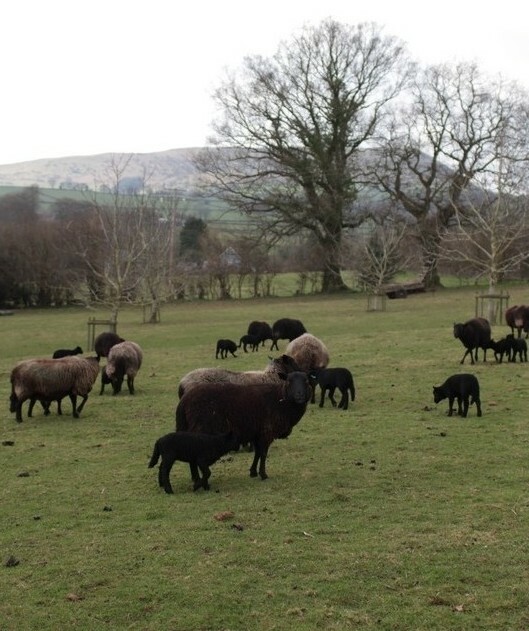 who arrived at the farm last weekend from a beautiful farm deep in the Breconshire Countryside. He is in quarantine for a couple of weeks, as any new stock has to be, but he is less than pleased about being in a field on his own when there are a hundred ewes waiting not far away! Choosing a time for lambing is always difficult for us. Our lambs are born outside and so we like to wait until the worst of the weather is over and the mornings are not quite so dark before starting. 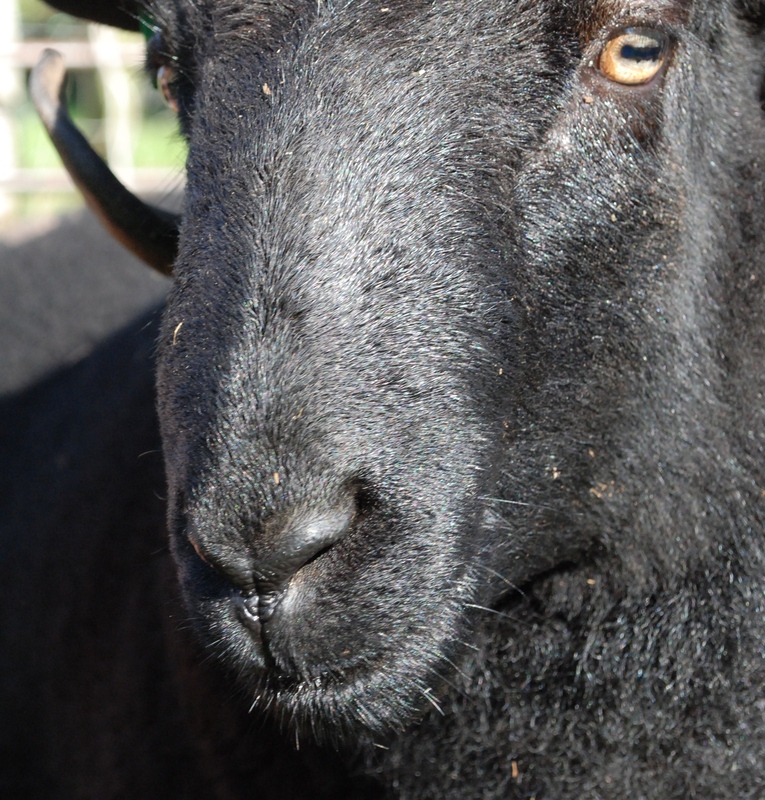 At the same time, we want lambing to be over by early to mid May to make sure that the ewes get the best of the spring grass to make milk. Generally, we follow the old adage that “Bonfire night makes April Fools”, which means that if we put the ram in with the ewes around the 5th of November, lambing will start on April 1st. This also ties nicely in with the Easter holidays, so we can coerce the children into helping! 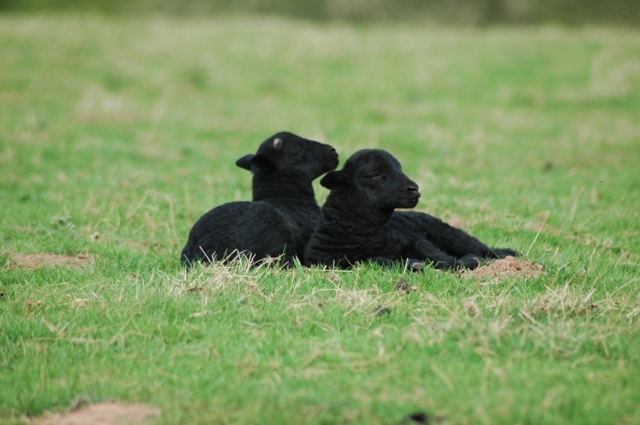 This year, as Easter is a bit later, we are aiming for the week after bonfire night, to begin lambing around the 7th April. Sadly for Leroy, that means another two weeks of waiting……………..